As a cGMP and ISO-9001:2008 certified Company, we follow the GMP and GLP practices strictly and are committed towards producing quality medicines, keeping in mind our responsibilities towards our society. Our endeavors show continual improvement in the effectiveness of our quality management systems. 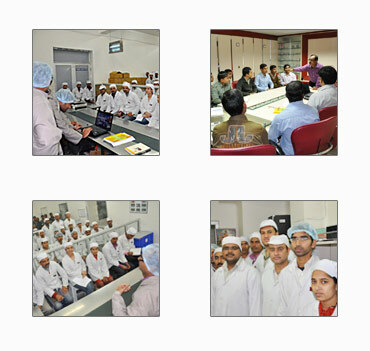 So, specified quality is ensured for each batch of medicines that is manufactured. Our systems ensure that each single tablet & every single dose of liquid orals coming out of our facilities helps to make you feel better & healthier. The quality at BRD Medilabs is an organized effort and starts right from the policy-making stage, the product conception stage and extends throughout the development, production and distribution. We believe that quality will automatically go into the product if it lies in the intentions of the people working on the product. We always strive to handpick such people for our team. We believe in the quality of not only the products but also of the services & the communication. We are committed towards meeting the delivery time requirements of our customers without compromising on the quality.